The auto-racing game will be driven by Ethereum, and users will gain access and make purchases with non-fungible tokens. According to the release, the first phase is scheduled for release on May 10. “F1 Delta Time” will be run on Ethereum, and participants will gain access and make payments with its non-fungible tokens. Formula 1 has an audience of over 500 million fans worldwide and commercial partners from Heineken (SWX:HEI) to Rolex. Partnering with Animoca Brands will further enhance and deepen Formula 1’s engagement with fans. Animoca Brands, which reported record unaudited year-end results for 2018 in early March, has been rapidly expanding its blockchain-based gaming portfolio. Last year, it secured strategic partnerships with at least 11 companies, which expanded Animoca Brands further into the artificial intelligence and blockchain sectors. Animoca Brands published “CryptoKitties” with Axiom Zen in China last January, which was one of the earliest games to use blockchain technology. In addition to “CryptoKitties,” Animoca reaches a wide audience by being involved with a library that includes “Crazy Defense Heroes,” “Crazy Kings,” “Mattel Games” and “Norm of the North Digit Dodge.” In addition, the company owns intellectual rights to create products for Garfield, Snoopy and Thomas & Friends. The timing is opportune for Animoca Brands; last year’s financial performance for the company saw total revenue reach AU$17.5 million. It was the first year the company had operated with positive cash flow since its founding in 2014. 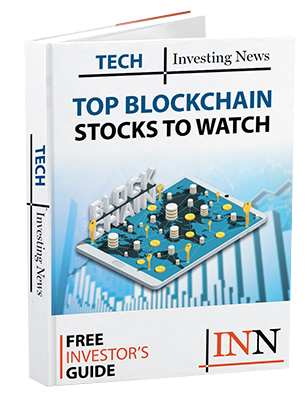 The company aspires to onboard 1 billion blockchain users as it extends its reach into that arena. Earlier this year, Animoca Brands spawned a partnership with Vigame Network Co. and iClick Interactive Media (NASDAQ:ICLK), an online marketing platform. With access to over 780 million user profiles, iClick generates over US$400 million annually in gross billings. This partnership is anticipated to generate US$11 million in new revenues in 2019. Animoca Brands opened on Tuesday at AU$0.10, near its 52-week high of AU$0.11, with a market capitalization of AU$75.21 million. The company closed Tuesday at AU$0.10. Securities Disclosure: I, Dorothy Neufeld, hold no direct investment interest in any company mentioned in this article.